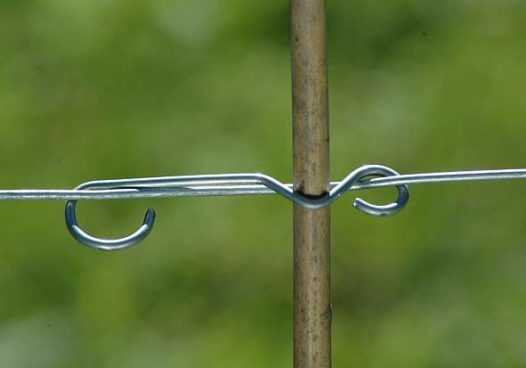 Metal clip for holding stakes to wire. 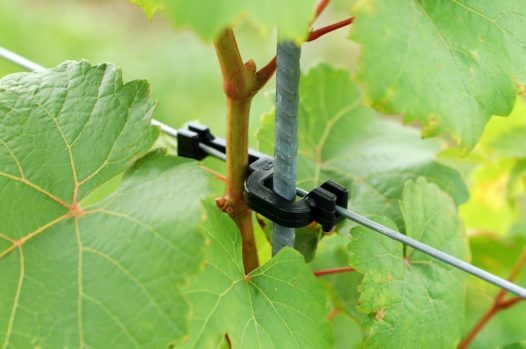 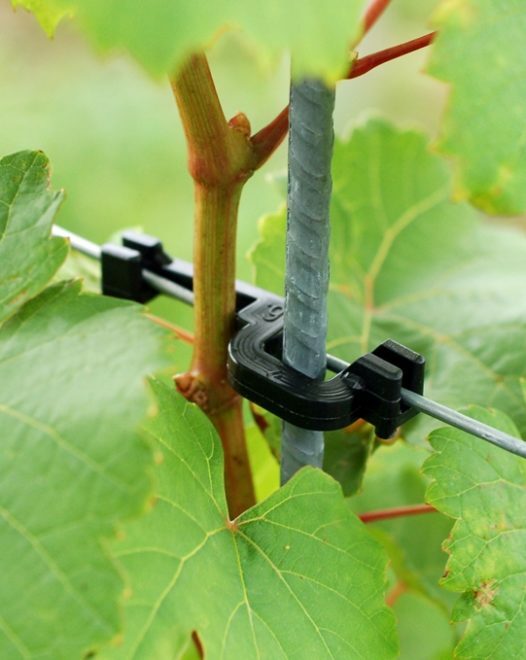 Particularly suitable for use with automatic harvesters, weeding machines etc..
Galvanised clip to hold bamboo, metal or fibreglass stakes to wire. 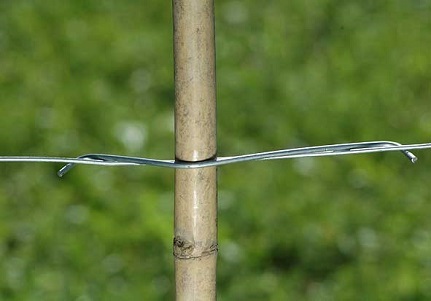 Can be used with most gauges of wire. 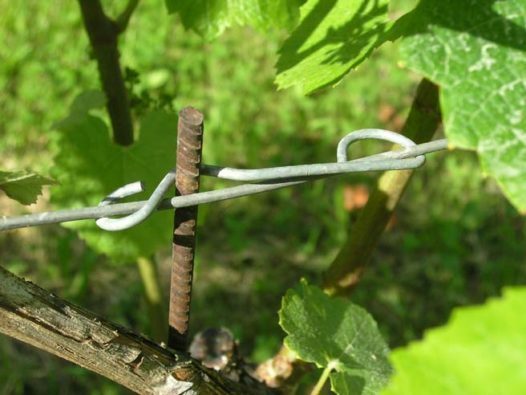 Will not slip on wire. 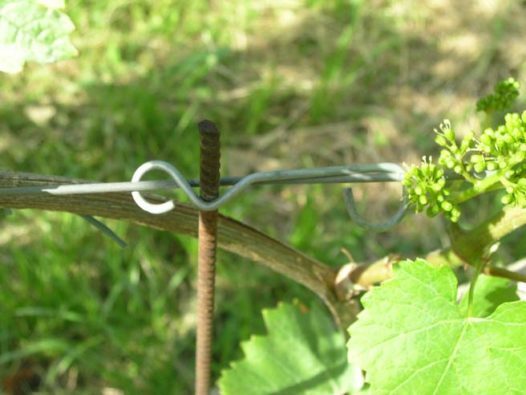 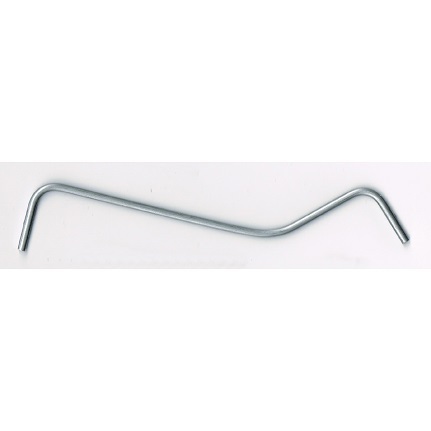 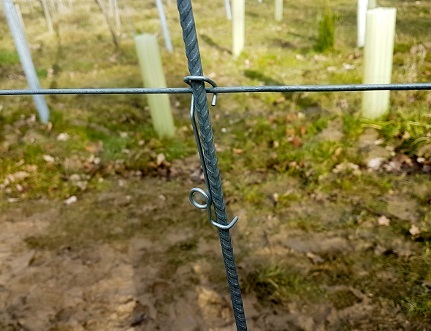 A galvanised clip for holding Training stakes to support wires. 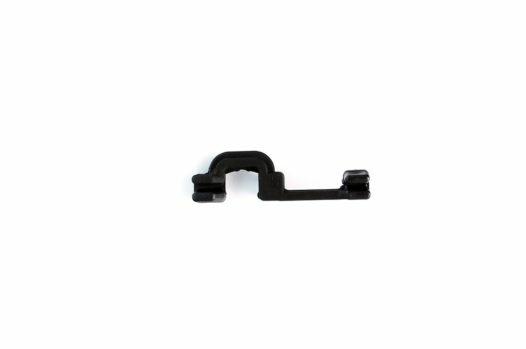 The new design incorporates a loop to allow the clip to be pressed into place without pressing on the end of the wire.